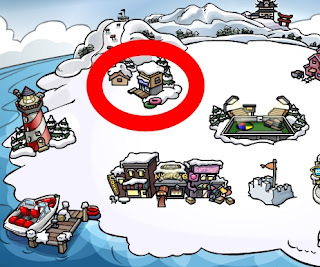 The penguin Secret Agency use to be here to help Club Penguin with problems that would occur. But after a pop corn explosion the E.P.F took over! Now heres how to become one! 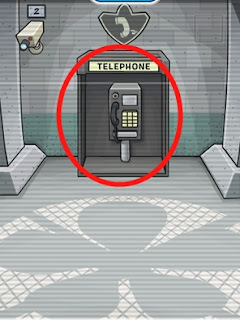 First off enter the "Everyday phoning Facility" Its at the Ski Village! 2. 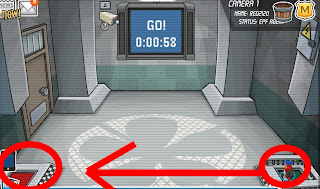 Put your cursor over "Questions"
3. 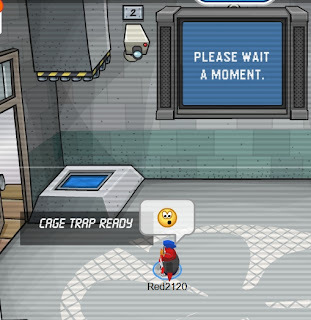 Then put your cursor over "EPF"
4. 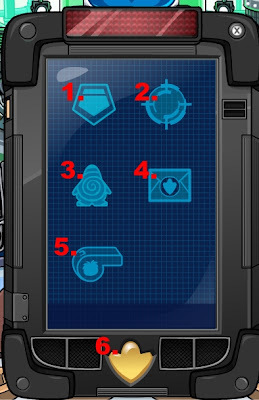 Then click "Pssst, I want to be an EPF Agent. Can you send me an invite? Then your penguin will say it! Finding someone to send you one can be hard, so make sure you ask a friend! 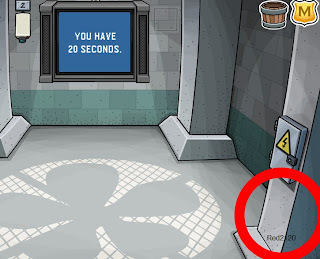 Or try going on a crowded server with lots of penguins! Then once you enter the ﻿Everyday phoning Facility the phone should ring! 3. Run as fast as you can to the red square! Great! How well can you hide? Step away from the red square! 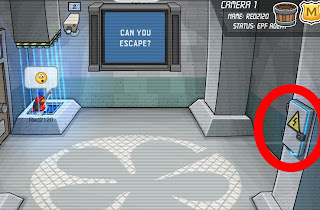 Once the cameras turn off hide in the bottom right corner behind the wall. 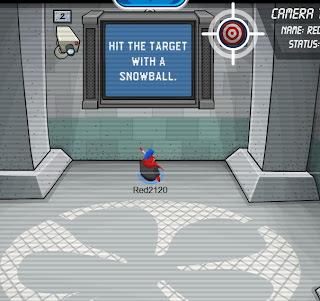 Then throw a snow ball at the camera next to the tv! 5. It will now test your cleaverness don't fall for the cage trap. When it tells you to walk onto it....DONT! 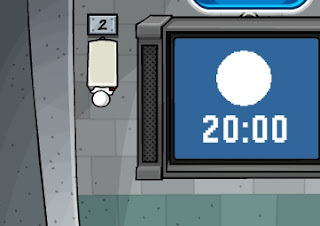 However...If you do you can get out of it by throwing a snow ball at the electrical box on the wall. Here are things to do! 1. Elite Gear- By clicking it you will be able to buy Secret things for only the E.P.F you can buy them with the metals you earn by doing the Feild-Ops every week! 2. Feild-Ops- Here you can do mini, short, easy missions every week. Once you complete one you earn a metal. 3. 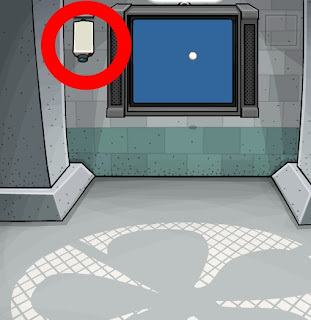 Teleport- Here you can teleport to any location in Club Penguin by using your spy phone! 4. 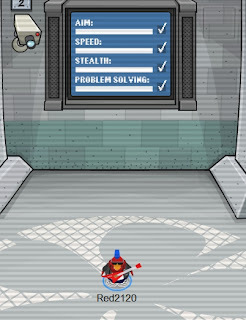 Recruit- By using this you can recruit new agents to come join the E.P.F, just like you have been recruited by an agent. 5. 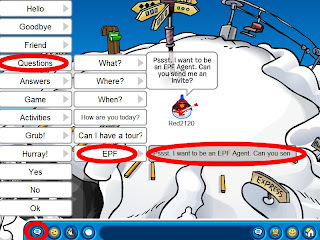 Elite Puffles- By clicking this you can call elite puffles to help you on tasks. 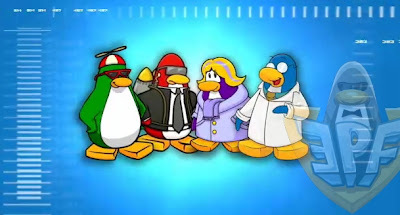 But to get the puffles you must buy the Club Penguin EPF video game! To order it online Click here! 6. 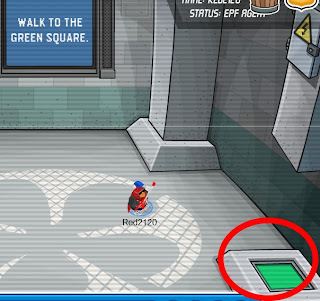 E.P.F Command Room- By clicking this you will instantly be able to teleport into the agency! 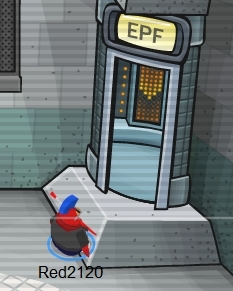 Enjoy being a EPF Agent! I still don't understand what are classes. I mean, I really don't know what are classes. I know billybob talked about it in one of his posts, can you please reply? Yes! Hi Jazz! The Classes are currently not out! But they will be coming out soon!